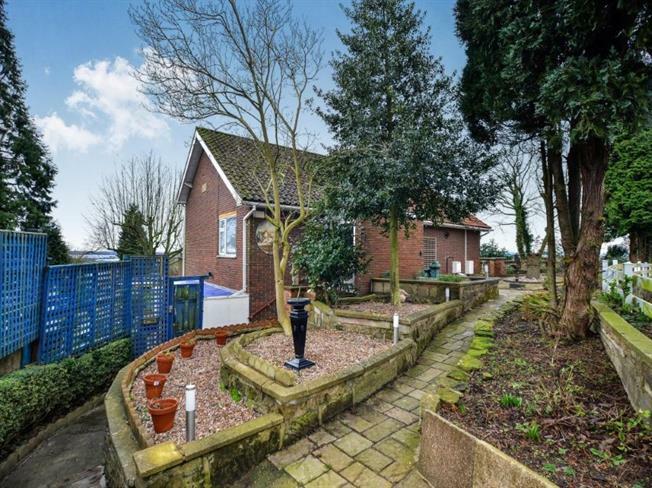 2 Bedroom Detached Bungalow For Sale in Sutton-in-Ashfield for Offers Over £190,000. Frank Innes are pleased to welcome this stunning two bedroom bungalow to the market. This property is a credit to the current owner and needs to be viewed to fully appreciate the immaculate, high quality attention to detail throughout. The property is accessed by a private road and is positioned at the very end. Once you have reached the property you are greeted by a front and side garden and off road parking for several cars. This interior of the bungalow comprises of an entrance hallway, gorgeous open plan living diner with access to a balcony, high quality kitchen with granite floor and work surface, two double bedrooms and four piece bathroom suite. This bungalow is fully double glazed throughout and has gas central heating and offers fantastic links to the A38 and M1 along with local shops and amenities. Accessed from the porch via an original door and with Ceramic tiles. Double glazed uPVC window offering fantastic views, Radiator and wood burner, engineered wood flooring, chimney breast and wall lights. Double glazed uPVC window. Radiator, ceiling light. Galaxy granite work surface, black granite flooring. Fitted, wall and base and breakfast bar units, double sink, space for, gas oven, space for, induction hob, integrated space for washing machine, fridge/freezer. Double glazed uPVC window. Radiator, carpeted flooring, built-in wardrobes, ceiling light. Double glazed uPVC window. Radiator, carpeted flooring, ceiling light and built in wardrobes. Double glazed uPVC window with obscure glass. Radiator, tiled flooring, downlights. Egg Pod Suite including, low level WC, freestanding bath with mixer tap, double enclosure shower, pedestal sink with mixer tap.